Children of the world are too often at risk, exposed to conflicts, diseases and natural disasters. Together, we can make a difference. 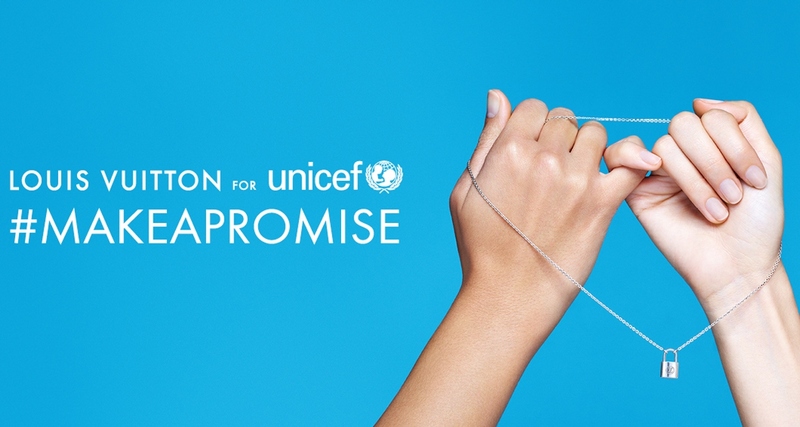 Louis Vuitton partners with UNICEF to support children in urgent need, who are exposed to conflict, diseases, natural disasters and other situations that threaten their safety and well-being. Through this partnership, funds raised will support UNICEF’s efforts to provide the essential interventions required to protect, save lives and ensure the rights of all children, everywhere. Louis Vuitton designed a special pendant and braclet to help children in urgent need. Through December 31, 2018, Louis Vuitton will donate $200 from each sale of the Silver Lockit Pendant and Bracelet, and $100 from each sale of the Silver Lockit Color Bracelet, to support UNICEF's programs. * Items are available in Louis Vuitton stores worldwide and on https://www.louisvuitton.com/lvforunicef. The specially designed Silver Lockit Pendent or Bracelet features the iconic tumbler lock, and is made of sterling silver. The Silver Lockit Color collection features the iconic tumbler lock, made of sterling silver, and the adjustable bracelet comes in five colors: Black, Blue, Pink, Purple, and Yellow. 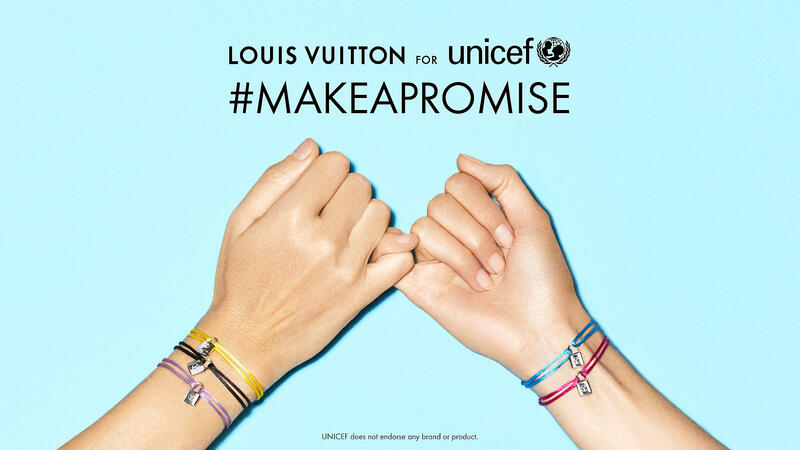 LEARN MORE ABOUT THE LOUIS VUITTON FOR UNICEF PARTNERSHIP. UNICEF Kid Power activates kids’ inner heroes, giving them the power to end global malnutrition and save lives, one step at a time. With the UNICEF Kid Power App or the UNICEF Kid Power Band –the world’s first Wearable-for-Good® –kids use their activity to unlock lifesaving nutrition that UNICEF delivers to severely malnourished children around the world. Created to help solve the global challenge that almost 1 in 4 kids around the world is malnourished, while only 1 in 4 American kids is getting enough physical activity, the UNICEF Kid Power Band was named by TIME Magazine as one of the ‘Best Inventions’ of 2016. UNICEF Kid Power is a program of UNICEF USA and is made possible thanks to the generous support of Presenting Sponsors Star Wars: Force for Change and Target, as well as local supporters, parents and fans. UNICEF Kid Power Bands are available in Blue and Orange ($39.99) and Star Wars: Force for Change Limited Edition Kid Power Bands are available in Green and Black ($39.99). Bands are available at unicefkidpower.org, and online at Target.com and in-store. LEARN HOW TARGET IS PARTNERING WITH UNICEF USA TO HELP CHILDREN.